Difficultly tracking existing contracts: With paper or hard drive based repository, it hard to track all signed and in-process contract and gain visibility into their status. Long cycle times for creating new contracts: With no standard contract templates available centrally, it is difficult to create the right contract. 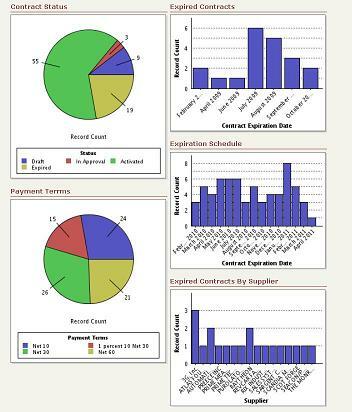 Approval cycles get long, since non-standard contracts require lengthy legal and finance review. Paper signatures: Paper based signatures make the task of contract signing manual and onerous. Further, scanned contract documents are unsearchable. Managing contract renewals: With no visibility and reminders into contract expiration, the risk of contract expiration or automated renewals increases. Lack of audit trail: A lack of clear audit trail puts companies at risk of SOX non-compliance. As a result, companies face higher contract management costs, longer contract creation cycle, increased regulatory and legal risks, while realizing lower than expected contract savings.